Aadhaar is necessary when you want to apply for a business loan. To apply for an Aadhaar, you can download the application form online. The Aadhar Card Form Download is available in all languages on the UIDAI website. Note: Downloading the Aadhar Enrollment Form is no longer compulsory. You can now go directly to the Aadhar Enrollment Centre and enroll on the spot by providing your demographic and biometric details to the person-in-charge. Go to the tab ‘Enrolment & Update’. Click on ‘Aadhar Enrolment Form’ and you will be led to the PDF. Aadhar Card Form – Where to get all the important forms quickly? Also Read: Here's How You Can Keep Your Debt Level To A Minimum! 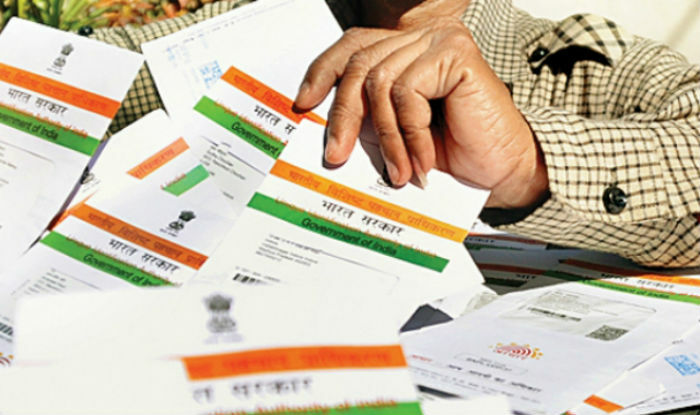 Hence, the SSUP is a pretty well-maintained online portal for various Aadhar related tasks. To get enrolled for an Aadhar Card, you need to visit your nearest Aadhar Kendra ( Permanent Enrolment Centre). There, you would be required to fill the Aadhar Card application form. This form asks for your basic personal and correspondence details like name, address, gender, etc. along with some other details like your bank account number (In case you want an Aadhar enabled/linked account). Please remember that you need to carry all the relevant identity, address, D.O.B and age proof documents required for Aadhar Card application forms. Quick Instructions for Filling Aadhar Card Application Form Download. Gather all the accepted Aadhar Card application documents. Fill the form either yourself or, under the supervision of the Aadhar Kendra supervisor. Present the asked documents to the supervisor along with the completed Aadhar card application form. The Aadhar Card forms contain the following fields that are needed to be filled by the Aadhar applicant. For some of these fields (as and when mentioned, proper document proof is also to be presented). If you have already applied for and received your Aadhar Card, you may be looking for forms to update your Aadhar Card details like Name, age, address, gender, etc. You can download the above form, take a print-out, fill in the details and then send this application request for updating Aadhar card details through the postal service (while attaching the supporting documents). Make sure you mention your Aadhar number on all the supporting documents which you attach with your update request form. The list of acceptable support documents is given at the end of the Aadhar card PDF form itself. If you want an unsecured business loan for your business, contact Gromor Finance. Gromor Finance gives unsecured loans to small businesses at attractive interest rates!